The purpose of this chapter is to provide an overview of the relations between the European Union (EU) and the countries of the Middle East and North Africa (MENA) within the framework of the European Neighborhood Policy (ENP). In doing so, the chapter is divided into four sections. The first section identifies the conditions that led to ENP’s adoption, while the second section examines the ENP’s contents and instruments and explores the policy’s shortcomings that led to its 2011 Review. The third section focuses on the contents and instruments of the revised ENP and discusses the reasons that led to its 2015 Review. The last section focuses on the results of the 2015 Review, while some preliminary findings of the ENP’s implementation are discussed in the concluding part of the chapter. The ENP includes countries that are subdivided into two partnerships. The Eastern Partnership consists of states that were previously part of the Soviet Union (Armenia, Azerbaijan, Belarus, Georgia Moldova, and Ukraine), while the South Partnership includes countries of the MENA region (Algeria, Morocco, Egypt, Israel, Jordan, Lebanon, Libya, Syria, Tunisia, and the Palestinian Authority). In this chapter, references to the ENP would apply solely to the MENA countries. A number of reasons forced the EU to adopt the ENP in 2004. First, the collapse of the Middle East Peace Process led to the new Intifada and the worsening of Israeli–Palestinian/Arab relations. This development in conjunction with the 9/11 attacks that led first to the decision of the George W. Bush Administration to declare the “War on Terror” and the subsequent military intervention of the United States (US) in Afghanistan (2001) and Iraq (2003) changed the geo-strategic environment in the EU’s neighborhood. Second, as a result of the 2004 EU enlargement, the external borders of the Union changed, and new security challenges emerged in the EU’s “near abroad” as a consequence. Third, the results of the Euro-Mediterranean Partnership (EMP) that was introduced in 1995 were disappointing. Specifically, the EU’s hesitant Common Foreign and Security Policy (CFSP) in conjunction with the conflicting views and priorities of the EU Member States had a negative impact on security-related matters in the MENA region. In addition, the EMP contribution to intercultural dialogue did not prevent the significant rise of Islamophobia in Europe, while efforts to encourage political and economic reform in MENA countries did not produce the expected results. Although the EMP’s main objective was the establishment of a free trade zone in the MENA region through economic liberalization, the real concern of the EU was about insecurity in its Southern flank and the irregular migration flows. As Malcolm Rifkind, the then British Foreign Secretary, noted: “one of the most important ways in which we can achieve political security is economic growth” and that “political stability will flow from that” (cited in Khader 2013, 24). The introduction of the ENP was a response to the new security situation developed in the EU’s near abroad and a policy designed to also support EU efforts to realize the objectives of the European Security Strategy (ESS) that was adopted in December of 2003. The ESS was rather explicit in defining the neighborhood “as a key geographical priority of EU external action” (EC 2003b, 9). The ENP was based on a Communication entitled “Wider Europe – Neighbourhood” adopted by the European Commission (EC) in 2003 and whose main objective was the strengthening of the stability and security of the EU and its neighboring states (EC 2003a). The ENP is meant to allow EU Members States to work “together with partner countries, to define a set of priorities, whose fulfillment will bring them closer to the European Union” (EC 2004, 1). Even though candidacy for EU membership was not foreseen, the EU nevertheless emphasized the importance for building communication and shared values related to issues such as security, democracy, human rights, political freedom, and trade liberalization. According to the ESS, “stability for not just the member states, but also the surrounding regions could be ensured much more effectively with attention paid to these areas, which are clearly interrelated and hard to untangle from one another” (EC 2003b, 3). To achieve its goals, the ENP sought to utilize a range of conditionality-related instruments the use of which was to be guided by the ESS objectives. Since its launch in 2004, the ENP has evolved considerably, due to a number of radical changes and challenges affecting the neighboring countries in terms of stability, prosperity and security. According to the EES (2003b, 4) threats to the EU may emerge as the result of regional conflicts which could lead to extremism, terrorism, state failure, organized crime, weapons of mass destruction (WMD) proliferation and refugee and immigration flows. Violent or frozen conflicts and problems such as those in the Middle East were thus viewed as having the potential of impacting European interests and security directly and indirectly. Particularly, bad governance – reflected in corruption, abuse of power, weak or collapsed institutions and lack of accountability – was regarded as a key threat to EU security (ESS 2003b, 4). Therefore, spreading good governance, supporting social and political reform, dealing with corruption and abuse of power, establishing the rule of law and protecting human rights were viewed by the EU as the best means for increasing European security. The main ENP objective was to strengthen stability, security and wellbeing in the Union’s near abroad as a means to strengthen European security. The policy was designed to prevent the emergence of new dividing lines between the enlarged EU and its neighbors and to offer them the chance to participate in various EU activities, through greater political, security, economic and cultural cooperation (EC 2004, 3). The method proposed to achieve the ENP objective was that the EU would work together with its MENA partners to define a set of priorities whose fulfillment would bring them closer to the European Union. These priorities were incorporated in jointly agreed Action Plans, which set out an agenda of political and economic reforms with short and medium-term priorities of three to five years covering a number of key areas for specific action, such as political dialogue and reform; trade and measures preparing partners for gradually obtaining a stake in the EU’s internal market; justice and home affairs; energy, transport, information society, environment and research and innovation; and social policy and people-to-people contacts (EC 2004, 3). The EU’s relationship with its MENA neighbors was to be built on mutual commitment to common values principally within the fields of the rule of law, good governance, the respect for human and minority rights, the promotion of good neighborly relations, and the principles of market economy and sustainable development. Moreover, the level of ambition of the EU’s relationships with its neighbors was to take into account the extent to which these values are effectively shared (EC 2004, 3). The EU also expected its MENA partners to abide by international law and collaborate in conflict resolution, the fight against terrorism and WMD proliferation. The ENP is mainly a bilateral policy built upon legal agreements, such as the Partnership and Cooperation Agreements (PCA) or Association Agreements (AA) which determine the relations between the EU and each individual MENA country. However, the ENP was designed to reinforce existing forms of regional and sub-regional cooperation and provide a framework for their further development. To this end, the ENP document contained recommendations on the development of regional cooperation and integration, as a means to address certain issues arising at the enlarged EU’s external borders. Thus, the ENP was complemented by regional multilateral co-operation initiatives, such as the EMP and the Union for the Mediterranean (UfM). Specifically, in regard to the MENA region, the ENP sought to further regional integration by building on the EMP achievements, notably in the area of trade, and invited the MENA countries to promote infrastructure interconnections and networks, as well as develop new forms of cooperation with their neighbors (EC 2004, 4). The ENP also sought to reinforce efforts to meet the objectives of the ESS in the Mediterranean and the Middle East (EC 2004, 6). The basic principles of the ENP were: “joint ownership” and “differentiation”. “Joint ownership” of the process was to be based on the awareness of shared values and common interests between the EU and its MENA partners. The ENP document explicitly stated that the EU did not “seek to impose priorities or conditions on its partners” and that there was “no question of asking partners to accept a pre-determined set of priorities” (EC 2004, 8). Thus, the proposed Action Plans were to be defined by common consent and they would vary from country to country, while their success was dependent on the clear recognition of mutual interests in addressing a set of priority issues. The ambition and the pace of development of the EU’s relationship with each partner country was dependent on its degree of commitment to common values, as well as its will and capacity to implement agreed priorities (EC 2004, 8). As far as the principle of “differentiation” is concerned, the ENP document specified that the drawing up of the Action Plans and the priorities agreed with each partner would depend on its particular circumstances and they could differ with respect to geographic location, the political and economic situation, relations with the EU and with neighboring countries, reform programs, needs and capacities, commitment to shared values, as well as perceived interests in the context of the ENP (EC 2004, 8). In the ENP framework, the EU sought to use financial and diplomatic means to ensure that there was a move towards democratization and market liberalization in its MENA neighbors. In other words, the EU intended to use a strategy of positive reinforcement where the reward for desired behavior was financial assistance. Implementation of the ENP is jointly promoted and monitored through the Committees and sub-Committees established in the frame of the PCA or AA agreements. The European Commission and the High Representative of the European Union for Foreign Affairs and Security Policy would publish Annual Reports assessing the progress made towards the objectives of the Action Plans and the Association Agendas. To assist with political and economic reforms, the EU committed to providing financial support in grant form to its MENA partners, while the European Investment Bank and the European Bank for Reconstruction and Development complement the EU’s support through loans. MENA countries have also been eligible for support under a number of other EU instruments, such as the Instrument Contributing to Peace and Stability, Humanitarian Aid, and the European Instrument for Democracy and Human Rights. Yet, MENA countries have been eligible to participate in EU internal programs, such as those of research and innovation, energy, transport, culture, education and youth (Erasmus+). Participation of MENA partners in EU programs and agencies is meant to promote reform and modernization in the MENA neighborhood and strengthen administrative and regulatory convergence of MENA countries with the EU. In 2007, the European Council authorized the participation of MENA countries in activities of a large number of EU agencies, such as FRONTEX, EUROPOL, CEPOL, EEA, EFSA, and EMCDDA. The relevant Agencies’ Regulations provide for various options of participation, allowing for different levels of engagement and working arrangements. All MENA countries have some form of cooperation with those EU agencies. Despite its various commitments, the EU’s approach to the MENA region suffered from some major weaknesses. Although human rights, democracy promotion, and conflict resolution were central to the ENP, there was a significant discrepancy between EU rhetoric and practice. Specifically, the EU’s involvement in the Arab–Israeli conflict resolution was mainly declaratory and often hesitant and incoherent (Khader 2013, 9). For example, while reiterating its condemnation of Israeli policies in the Occupied Territories, the EU sought to reinforce its ties with Israel placing at the same time the Palestinians/Arabs and Israelis on the same footing. Moreover, questions of human rights and democracy did not take priority as the EU settled for a more realist approach to MENA politics while the Arab civil society was not been taken seriously in the EU–MENA dialogue. By sidelining civil society actors and with the gradual prioritization of security over reform, the EU contributed indirectly to the political status quo and undermined the application of the principle of “differentiation”. However, one of the more important reasons for the ENP contestation was the EU’s tendency to disregard advice and instead provide ‘lessons’ thereby jeopardizing the application of the “joint ownership” principle. In other words, the EU did not cultivate an image of a “credible partner”, learning to “listen to unfamiliar voices” and speaking to important actors of Arab civil society. This led the Arab world to think that the EU was simply interested in exporting its institutional model and value system. As some had already predicted (Bosse 2007; Sasse 2008), the ENP’s ‘top-down’, ‘one size fits all’ approach failed to produce the expected results. Then the outbreak of the Arab Spring in 2010 not only took the EU by surprise and added to the contestation of the EU norms, values and practices but also dispelled many myths circulating in Europe, such as that the Arabs were not interested in, concerned by or prepared for democracy; that pro-Western dictators are better bets than the Islamist alternative; that the Arab World was a fiction and that the cross-border appeal of Arab identity had waned; and that authoritarian regimes are unshakable (Khader 2013, 33–34). Instead the Arab Spring demonstrated that the Arab public opinion is diversified and rational, that there have always been forces for change in the MENA region and that there is a vibrant civil society in spite of all forms of coercive state control. The strong contestation of ENP conditionality by MENA countries in conjunction with the Arab Spring-related events forced the EU to respond urgently to the new challenges. The EU’s response was first enshrined in the “Partnership for Democracy and Shared Prosperity” of March 2011 (EC 2011a). This document noted that the EU needed “to support the wish of the people in our neighbourhood” through a “qualitative step forward” in “a joint commitment” to “common values: democracy, human rights, social justice, good governance and the rule of the law” (EC 2011a, 2). The new approach was to be based on greater “differentiation”, conditionality and “mutual accountability” and built on three elements: democratic transformation and institution building, stronger partnership with the people, and sustainable and inclusive growth (EC 2011a, 3). To support its new initiative, the EU established on 21 September 2011 a new aid package entitled “Strengthening Partnership and Inclusive Growth” (SPRING). “Differentiation” was to be determined according to the application of the “more for more” principle, which introduced a new incentive-based approach (EC 2011a, 5). The purpose of the “more for more” principle is to reward faster reform by greater support in terms of aid, trade and advanced relationship status with the Union. The assessments contained in the Annual Progress Reports of the European Commission (EC) and the European External Action Service (EEAS) form the basis for EU policy towards each MENA partner under the ‘more for more’ principle. MENA countries advancing political reforms are offered additional elements of market access and a greater share of the EU financial support. In this context, the SPRING program was intended for those MENA partners that undertake clear and concrete steps towards political reform. However, in the eyes of the MENA partners, the “more and more principle” is similar to the previous rhetoric of tailor-made approaches. It continued to over-rely on neoliberal capitalist market economy recipes based on an “almost sacred belief in liberalisation and privatisation” (Soler and Viilup 2011, 4). Moreover, according to the “more for more” principle, any MENA country which engages in “deep and sustainable democracy” will be rewarded with “upgraded status”, increased aid and enhanced political dialogue. However, it is questionable whether MENA countries were ready or willing to accept and fully implement external prescriptions, even in exchange for reward. Yet, the 2011 ENP Review did not clarify who sets the benchmarks of “deep reform” or who is entitled to make the performance assessment or to what degree MENA countries would be involved in the assessment process. Likewise, the meaning of “mutual accountability” is unclear as the ENP Review did not clarify whether MENA countries could hold the EU accountable for its shortcomings or how “mutual accountability” should be exercised and enforced. The principles of “more and more” and “mutual accountability” were not discussed with all the relevant MENA stakeholders. How could a new approach to old problems be adopted without being open to the input of those concerned? This is a fundamental question which explains, to a large extent, the negative reaction of Arab social networks to the revised ENP which was characterized as a “non-consensus response”. Thus, the employment of the “more and more” and “mutual accountability” principles invited the question of local ownership and undermined the principles of “joint ownership” and “differentiation”. Moreover, the absence of input by the MENA partners could make it easy for the EU to shift its policy from “carrots to sticks” (Oxfam, 2011, 5). The EU’s response to the new challenges also found its expression in the EC Communication entitled “A New Response to a Changing Neighbourhood”, which was published in May 2011 (EC 2011b). In this Communication, the EU reasserted that “partnership with our neighbours is mutually beneficial,” but must be based on “mutual accountability”, a shared commitment to universal values, a higher degree of differentiation, comprehensive institution-building, and imperative and deep democracy (EC 2011b, 2). The Communication added that “the EU does not seek to impose a model or a ready-made recipe for political reform” (EC 2011b, 2). The 2011 Review put a strong focus on the promotion of ‘deep and sustainable’ democracy, accompanied by inclusive economic development. ‘Deep and sustainable’ democracy was to include free and fair elections, freedom of expression, of assembly and of association, judicial independence, fight against corruption and democratic control over the armed forces (EC 2011b, 3). 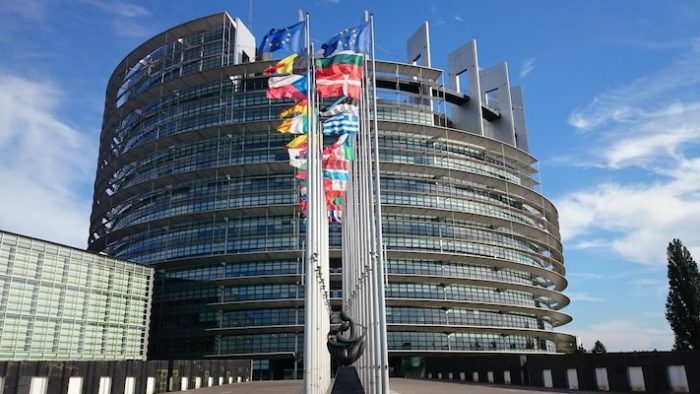 To achieve ‘deep and sustainable’ democracy, the EU proposed the establishment of a European Endowment for Democracy and a Civil Society Facility (CSF). Through the Civil Society Facility instrument, the EU aims to “support civil society organisations, to develop their advocacy capacity, their ability to monitor reform and their implementing and evaluating EU programmes” (EC 2011b, 4). This support was deemed essential since it would enable civil society organizations to voice concerns, contribute to policy making, hold governments accountable, and ensure that economic growth is geared towards poverty alleviation and inclusive growth. The Civil Society Facility proposal, however, was met with skepticism by Arab civil society organizations as in the recent past EU-allocated financial support was insufficient, bureaucratic hurdles discouraging and disbursement very slow. Moreover, the selection of civil society organizations to be funded has often been inadequate and sometimes arbitrary as the EU engaged more with civil society organizations perceived more agreeable and acceptable than others with a real social base (Khader 2011, 37). Thus, the EU was criticized for taking the driving seat thereby delegitimizing a transition led by the people and for not being interested in more transparency in the relations between external donors and local actors. The European Endowment for Democracy instrument seeks to promote the creation of civil society organizations and provide assistance to trade unions and other social actors, such as non-registered non-governmental organizations (EC 2011b, 4). Apart from supporting local actors, including political movements, journalists and NGOs, the EED provided a forum where MENA states were to share their experiences with the Central and Eastern European Countries (CEECs) which went through a significant political, social, and economic transformation on their way to becoming EU members. The CEECs had important comparative advantages because, unlike some of the EU Members States, they were not colonial powers (Giusti and Fassi 2014, 119). The May 2001 Communication also called for the creation of a “Deep and Comprehensive Free Trade Area” (DCFTA) (EC 2011b, 9). The implementation of the DCFTA gives MENA neighbors a possibility to integrate into the EU internal market without becoming an EU member state. Modelled after the EU’s agreements with pre-accession states, DCFTAs are very extensive in the commitments by EU neighbors to approximate to a significant amount of EU acquis communautaire. In other words, the DCFTAs go beyond strictly trade-related matters and imply serious domestic change to achieve the necessary convergence. The idea of a “Deep and Comprehensive Free Trade Area” also raised considerable skepticism as in authoritarian states liberalization and privatization often lead to the concentration of economic power in the hands of a minority, impeding growth to trickle down to the vast majority of the population. In fact, this has been the experience in the MENA countries since the imposition of the structural adjustment programs by the International Monetary Fund where hastily imposed privatization transformed plan economies into clan economies (Khader 2011, 38). Therefore, many actors in MENA countries considered it unwise for the EU to attach economic policy conditions such as liberalization and that “support for economic growth should be rooted in support for peoples’ choices of a revised economic model” (Oxfam 2011, 3). Yet, MENA countries, which are in democratic transition are facing significant economic challenges. Thus, their first priority is to put their economies in order and address urgent questions of poverty and development. Consequently, a “Deep and Comprehensive Free Trade Area” is not an immediate goal. This is the reason for which it has been suggested that the EU should show flexibility by adapting its approach to changing circumstances and that its emphasis should be placed on poverty alleviation, women’s empowerment, gender equality, youth participation, job creation and sustainable development. Another suggestion is that the EU should promote regional integration as a way to increase trade volume. Furthermore, for MENA countries, the search for more equitable economic relations is more urgent than mere liberalization policies. In this respect, assistance programs are expected to be put in place to bolster competitiveness, innovation and knowledge technology. In their meeting of 3 December 2013, the EEAS and the EC Directorate General for Development and Cooperation outlined the conditions for the participation of MENA countries to various EU programs while in early 2014 the EU decided that assistance to MENA countries was now to be provided mainly through the European Neighbourhood Instrument (ENI), which was established as a successor to the European Neighbourhood and Partnership Instrument (ENPI). The ENI was designed to further strengthen certain key features of the former ENPI, notably greater differentiation between countries based on progress with reforms. For the ENI purposes, the EU allocated a total budget of €15.4 billion for the period from 2014 to 2020; a very high amount that represents 24% of expenditures for the EU’s external action. The ENI funds are channeled through bilateral programs, as well as multi-country and cross-border cooperation programs. …holding up democracy as an unquestionable value and as end in itself, the EU takes for granted that democracy and political reform is external to the region, and thus can be successfully exported. The diffusion of EU norms and values in the MENA region became a matter of contestation for three broad reasons: first, because of their ambiguous nature; second, due to the potential conflicts between them (in particular between political and economic values) resulting in policy incoherence; and third, due to the existence of competing values in the Arab world (Gstöhl 2015; Del Sarto 2016). Specifically, there are three ambiguities in regard to the EU’s values. First, these values are, in theory, already shared and form the basis for developing relations with MENA countries (Cremona 2011, 301). First, Article 21(1) of the TEU requires the Union to seek to build partnerships with countries that “share the principles on which it is founded.” This implies that unless countries share the values and principles on which the EU is founded, they cannot enter into a partnership with the Union. But since the MENA countries have joined the ENP, this means that they already share these EU values and principles. As a result, there is no reason to respond to further EU requests for ‘value sharing’. Second, the EU uses the notion of ‘common values’ both as a universal and an EU concept (Leino and Petrov 2009, 656). Consequently, views between the EU and the MENA countries have differed in reference to what kind of democracy or market economy should be promoted. A third ambiguity concerns how the values should be implemented (Kochenov 2014, 53). For example, while conditionality may promote the transmission of EU acquis, the latter may be not a suitable instrument for the export of those values which MENA countries needed to internalize (Gstöhl 2015, 4). The substance and coherence of the EU have also been questioned (Gstöhl 2015, 4). To begin with, the pursuit of economic interests and of democratization or political stability may enter into conflict. For example, despite that in the official EU documents political, social and economic rights received equal treatment, in practice more attention has been focused on political rather than economic values. As Stefania Panebianco (2006, 141) has argued, in EU practice “economic liberalization and the establishment of free markets – which are also crucial EU values – seem to come before human rights and democratic principles.” Hence, the EU encountered the challenge of how to prioritize among competing ENP goals such as security, good governance and economic aspirations for if not, it risks damaging its credibility. Moreover, conflicts may also arise within the same group of values, such as between poverty reduction and trade liberalization or between political stability and democratization (Börzel and van Hüllen 2014). For example, EU has been very skeptical about Islamist parties winning free elections in MENA countries, while during the Arab Spring the Union prioritized its security concerns at the expense of the establishment of democracy in the region. Yet, in contrast to what happens in the EU, many of the MENA countries are governed by authoritarian regimes, while political Islam has been on the rise in Turkey and the Arab world where Muslim societies appear to favor a role for religious leaders in politics. According to Sienglinde Gstöhl (2015, 8–12), the mechanisms of value export have been challenged for three reasons: first, because some MENA countries have been incapable and/or unwilling to absorb the EU norms and values; second, the EU and its member states have failed to conduct a consistent and credible policy; and third, the EU is facing normative rivalry from other actors. In other words, ENP faces challenges of capacity, consistency and competition (Gstöhl 2016). Specifically, a precondition for a successful value and norm transference is the political will in the MENA countries to tackle the domestic reforms required. But in authoritarian regimes, the export of EU norms and values depends on the political costs involved in adopting reforms. In other words, the EU’s challenge is how to convince authoritarian governments to implement democratic reforms when these governments view such EU norms and values as threatening their own hold on power (Pace 2007, 663). Moreover, the resonance of EU values is not the same in all societies. For instance, it has been argued that transition countries tend to be more receptive to EU norms than authoritarian regimes because they are likely to be more open to new ideas after their old governance systems were discredited (Checkel 2005, 813). Second, a lack of absorption capacity negatively impacts political and economic reforms. For economies lacking strong institutions and administrative capacities, the implementation of EU standards can involve high costs. Consequently, it can be questioned whether certain EU instruments are the most suitable instruments for countries facing serious development challenges (Leino and Petrov 2009, 665). Yet, a country’s commitment to adopt and implement EU norms does not necessarily mean that this is actually followed up by their transposition into domestic law, nor by their application (Langbein and Wolczuk 2012). The transmission of EU values is also affected by inadequacies on the side of the European Union. First, due to the unwillingness of the EU institutions or its member states to deliver certain incentives, such as the prospect of obtaining EU membership, the EU’s ability to deliver real incentives to MENA countries remains constrained. Second, the non-participation of MENA countries in the decision-making process about the actual meaning of common values further adds to the constraints facing the EU while at the same time preventing the internalization of norms in the MENA region (Leino and Petrov 2009, 666). As non-EU actual or prospective members, the MENA countries face some risks while becoming involved with the European Union. For instance, the conclusion of agreements between the EU and the MENA countries involves the adoption of and adaptation to the EU acquis, its uniform interpretation as well as an independent monitoring and judicial enforcement. Without participation in the relevant EU decision making processes, such a “degree of supranationality encroaches upon national autonomy” (Gstöhl 2015, 10). Third, the lack of capacity and/or willingness to offer the MENA countries certain benefits or to endorse the values by responding to non-compliance may generate inconsistent EU policies. For example, as it was noted previously, the EU’s promotion of human rights and democracy in the neighborhood has frequently been trumped by economic or security interests. At the same time, the EU’s engagement with autocratic regimes in MENA countries is potentially dangerous as it undermines the Union’s strategic goal to democratize its immediate neighborhood (Kurki 2013, 230). In addition, in contrast to the EU institutions, the EU member states often ignore conditionality in their bilateral dealings with MENA countries. But, for the EU’s policies to be effective, EU member states must be willing to support EU conditionality instead of undermining it. Finally, the role of external competitors may play a role because of competing mechanisms of value export. The EU’s efforts of value promotion assume that the European model of democracy and market economy can and should be exported. However, this assumption may be questioned not only by the MENA countries themselves but also by external actors. For example, in the MENA region, several countries, such as Tunisia, Egypt, Libya and Syria, rebelled against Western backed authoritarian rulers, while some countries also experienced powerful counter-revolutions. The regimes in the Gulf States tried to ‘buy off’ their citizens and supported regressive forces in the region, while Morocco and Jordan implemented rather cosmetic domestic reforms (Leonard 2014). Democracy promotion implies that the EU must engage in dialogue with all political groups and not just those that mirror Western values. Political Islam is not a unitary force but characterized by important splits between different interpretations of Islam. As it has been argued, the political awakening in the Arab Spring “is about people claiming democratic rights to emancipate themselves from the traditional influence of the West, rather than trying to join it” (Leonard 2014). Therefore, despite its 2011 Review the ENP failed to recognize and address the nature of economic and political challenges facing the MENA region as a whole. As a result, in 2015 the EU launched a new effort to revive the ENP with the European Commission calling for “a need to understand better the different aspirations, values, and interests of our partners” (EC 2015, 1). The launch of the 2015 Review took place in parallel with the work conducted on the EU’s Global Strategy, which also aims for the stabilization of the EU’s Neighborhood through building up the resilience of its partners. As in the previous EC Communications, good governance, democracy, the rule of law and human rights; economic development for stabilization; security; and migration and mobility remain the core ENP areas, while the 2015 EC Communication listed the differentiation amongst partner countries, flexibility, joint ownership, greater involvement of the EU Member States, and shared responsibility are identified as the key principles of the 2015 Review (EC 2015). The differentiated partnerships and the tailor-made approach remained the hallmarks of the 2015 Review. For MENA countries who have agreed with the EU Partnership Priorities, Association Agendas, Action Plans or other similar jointly agreed documents, the 2015 Review foresees the adoption of a multiannual programming document in the form of a single support framework. For the remaining MENA countries, multiannual programming documents take the form of the strategy papers & multiannual indicative programs. This approach applies also to multi-country and cross-border cooperation programs (EC 2015, 4). As far as the effectiveness of the implementation of the “more and more” principle is concerned, the EC recognized that too few MENA countries introduced political reforms and noted that “the EU should explore more effective ways to take its case for fundamental reforms with partners, including through engagement with civil, economic and social actors” (EC 2015, 5). To apply the “differentiation” principle, country-by-country developments are addressed in factual country-specific reports which are released by the EEAS and the EC ahead of the Association Council meetings or other similar high-level events and replace the previous ENP Annual Reports, which used to be released for all partners at the same time (EC 2015, 4). The Association Councils remain the highest formal bodies established to supervise the implementation of the Agreements and to discuss issues of mutual interest. However, the 2015 Review did not clarify if the preparation of these documents is to take account of the views of the MENA partners. This has been a strong point of contestation for MENA countries since unilateral EU assessment has been seen as undermining the “joint ownership” principle. The 2015 Review reinforced the principle of flexibility in order to accelerate assistance and to ensure it is better adapted to rapidly evolving political circumstances and priorities (EC 2015, 19–20). Apart from providing ENI grants, the EU has also sought to leverage substantial additional funding through cooperation with International Financial Institutions and by means of investment subsidies from the Neighbourhood Investment Facility. Technical assistance instruments are also available to MENA countries to help implement Association Agendas and Partnership Priorities. As previously, the EU objectives and priorities for partner countries together with indicative allocations are set in relevant multiannual programming documents, which are, in principle, established in partnership with the beneficiary MENA countries. In this respect, the objectives and priorities of EU support are to be developed in consultation with the relevant authorities of the MENA partners, as well as civil society organizations and other stakeholders. Yet, with the 2015 Review, the EU objectives and priorities are to be set in coordination with Member States and other donors, including International Financial Institutions, while the programming is also subject of a Strategic Dialogue with the European Parliament. The 2015 Review acknowledges that cooperation between the EU and its MENA partners on migration-related issues should be strengthened to facilitate mobility and at the same time discourage irregular migration. The goal is to develop, under the auspices of the European Agenda for Migration, mobility partnerships and other agreements ensuring that the movement of persons between the EU and its MENA partners is well managed (EC 2015, 16–17). Moreover, the 2015 Review has opened up a wide range of new areas of cooperation between the EU and MENA countries, including conflict prevention, crisis management and security sector reform. The new approach covers all security areas in a combination of bilateral, regional, and cross-border projects. Through its new approach, the EU seeks to intensify work with MENA countries to tackle terrorism and to counter radicalization. To this end, the EU views the role of the civil society as central in the identification of partnership priorities (EC 2015, 12–14). Furthermore, as part of its regional focus, the EU has sought to strengthen its operational cooperation with the League of Arab States through common participation to Working Groups dealing with conflict prevention, early warning and crisis management, humanitarian assistance, counter-terrorism, transnational organized crime, and WMD proliferation and arms control. To investigate whether the 2015 Review ensures a “differentiated” approach to partners, “joint ownership”, and more flexibility in the use of EU instruments, the EC published a “Report on the Implementation of the European Neighbourhood Policy” in May 2017 (EC 2017). This Report, however, has mainly provided an overview of the EU activities since the 2015 Review was adopted rather than a complete and comprehensive assessment of its effectiveness. Therefore, it remains to be seen whether in the spirit of the “joint ownership”, “mutual accountability” and “mutual responsibility” principles the EU would be open to questions, criticism and suggestions from its MENA partners and whether MENA countries would play any role in setting the benchmarks of deep reform, have a say in how relevant EU policies develop and apply or would be involved in the performance assessment. A more effective engagement with the MENA region would require the EU to abolish neocolonial attitudes reflecting a ‘civilizer–civilizee’ relationship. Instead, the EU could become more open to the perceptions and viewpoints of its MENA neighbors and cultivate a relationship of mutual respect and equal partnership. Börzel, Tanja and Vera Van Hüllen. 2014. “One voice, One Message, but Conflicting Goals: Cohesiveness and Consistency in the European Neighborhood Policy.” Journal of European Public Policy, 21(7): 1033–1049. Bosse, Giselle. 2007. “Values in the EU’s Neighborhood Policy: Political Rhetoric or Reflection of a coherent policy?” European Political Economy Review 7: 38–62. Checkel, Jeffrey, T. 2005. “International Institutions and Socialization in Europe: Introduction and Framework.” International Organization, 59(4), 801–826. Cremona, Marise. 2011. “Values in EU Foreign Policy.” In Beyond the Established Orders: Policy Interconnections between the EU and the Rest of the World, edited by Malcolm Evans and Panos Koutrakos. Oxford: Hurst Publishers. Del Sarto, Raffaella A. 2016. “Normative Empire Europe: The European Union, Its Borderlands, and the ‘Arab Spring.’”Journal of Common Market Studies, 54(2): 215–232. Gstöhl, Sieglinde. 2016. “The Contestation of Values in the European Neighbourhood Policy: Challenges of Capacity, Consistency and Competition.” In The European Neighbourhood Policy – Values and Principles, edited by S. Poli. Abingdon: Routledge, 58–78. Gstöhl, Sieglinde. 2015. “The Contestation of values in the European Neighborhood Policy: Challenges of Capacity, Consistency and Competition.” Paper presented at the EUSA Fourteenth Biennial Conference. Boston, 5–7 March. Khader, B. (2013). The European Union and the Arab World. Barcelona: IEMed. Kochenov, Dimitry. 2014. “The Issue of Values.” In Legislative Approximation and Application of EU Law in the Eastern Neighbourhood of the European Union: Towards a Common Regulatory Space? edited by Peter Van Elsuwege and Roman Petrov. London: Routledge. Kurki, M. 2013. Democratic Futures: Revisioning Democracy Promotion and Democratization. London: Routledge. Langbein, Julia & Kataryna Wolczuk. 2011. Convergence without membership? The impact of the European Union in the neighbourhood. Journal of European Public Policy, 19:6, 863–881. Leino, Parvi and Roman Petrov. 2009. “Beyond ‘Common Values’ and competing Universals – the Promotion of the EU’s Common Values through the European Neighborhood Policy.” European Law Journal 15(5): 654–671. Leonard, Mark. 2014. “Seven reasons why the Arab uprisings are eclipsing Western values.” European Council of Foreign Relations, 23 January. Oxfam. 2011. Power to the People? Reactions to the EU’s response to the Arab Spring. Oxfam Briefing Note, 14 November 2011. Pace, Michael. 2007. “Norm Shifting from EMP to ENP: The EU as a Norm Entrepreneur in the South? Cambridge Review of International Affairs 20(4): 659–675. Panebianco, Stefania. 2006. The constraints in the EU actions as a “norm exporter” in the Mediterranean. In Elgstrom and Smith (eds. ), The European Union’s Roles in International Politics, 136–154. Sasse, Gwendolyn. 2008. “The European Neighbourhood Policy: Conditionality Revisited for the EU’s Eastern Neighbours.” Europe-Asia Studies 60(2): 295–316. Soler E. and E. Viilup. 2011. “Reviewing the Neighbourhood Policy: A weak response to fast changing realities.” Notes internacionals. Barcelona, CIDOB, No. 36, June 2011. Singh, Manasi. 2016. “The EU’s Democracy Promotion in Its ‘Neighborhood’: Renegotiating the Post-Arab Spring Framework.” In Democracy and Civil Society in a Global Era, edited by Scott Nicholas Romaniuk and Marguerite Marlin. London: Routledge, 31–42. Tholens, Simone and Lisa Groß. 2015. “Diffusion, contestation and localization in post-war states: 20 years of Western Balkans reconstruction.” Journal of International Relations & Development, 18: 249–264. Yannis A. Stivachtis is Associate Professor of Political Science at Virginia Tech. His research interests include the evolution of international society, the study of regional international society, conditionality and international order, international society and the civilizing process, and European international society and global order. His current professional service includes: Head of the English School section (ENGSS) of the International Studies Association (ISA) and Director of the Social Sciences Research Division of the Athens Institute of Education and Research (ATINER). He is the editor of the Athens Journal of Social Sciences and co-editor of the Critical European Studies book series published by Routledge/Taylor & Francis. His most recent publications include: Interrogating Regional International Societies, Questioning Global International Society (editor, Global Discourse 2015); Europe after Enlargement (co-editor, London: Routledge 2014); Europe and the World: The English School Meets Post-colonialism (editor, Review of European Studies 2012); The European Union and Peacebuilding (co-editor, Review of European Studies, 2013).